Good relationships can teach us a lot. But bad relationships can teach us things too. In fact, our appreciation of a good relationship strengthens after we’ve been through bad relationships. Love is splendid and crazy. The ups, downs, good and bad times, good love, bad love, separations and reunions and break-ups combine to create interesting dynamics. This can show us who, how, and why we love. When a relationship is going well and the love is good, it is the best feeling. But when love takes a turn and things fall apart in a relationship, it can be the worst feeling. This may leave you defeated, feeling like you failed, ushering in deep sadness. Yet, we revisit love again and again. We crave it because it is one of those essential necessities. Love, in its purest form, makes life worth living. You Identify Your Wants vs. Needs –After a bad relationship ends, you gain a better understanding of what you really need versus what you thought you wanted. Ever make an impulse purchase of a purse, piece of jewelry, car, boat or other tangible item you thought you needed, only for it to turn out to be a major headache? Too late you realized you made a big mistake? I have done this. We all have. This is because what we want versus what we need can be two very different things. Relationships are like this too. You meet someone and think this is who you are supposed to be with in the long-term. And at first, things go really well. But as time goes on, little things become big things until the relationship declines to a dismal place. What you thought you needed and what you actually do need in a partner can become intensely clear when you’re in a bad relationship. Sometimes acting out in a bad relationship occurs because you aren’t getting your basic needs met. It’s a sign that you aren’t in the right place. 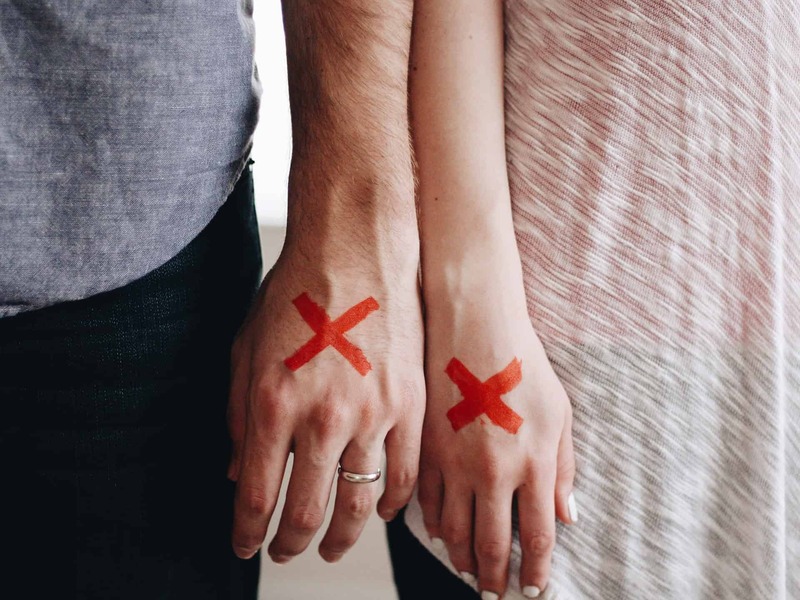 As your relationship progresses to a bad place, you may realize that you ignored clear warning signs along the way because you thought this is what you wanted versus paying attention to what you needed. Love is a wonderful teacher. After surviving the bumps, obstacles and challenges, you may realize these experiences are a gift. They are a gift to show you that what you may have thought you wanted wasn’t actually what you needed. Like the impulse purchase, the person seemed like something you wanted. But after investing, you realized you were ok without. Better, in fact. Relationship Tip: Look beneath the surface. Ignore your expectations of what you think the person should be and see who they truly are. What are the qualities you need from a mate? Do you need a sense of humor, a good work ethic, compassion? Make sure these qualities are found in your choice of suitor. You recognize a good relationship. Sometimes going through some bad stuff makes you appreciate the good stuff. Think about growing up and all the freedom you had as a kid—and took for granted. Your parents probably warned you that you’d see life differently once you were an adult. Being an adult has its perks and rewards, but also major responsibilities. The same principle applies to relationships. Depending on your age, experience, and where you are in life, every relationship is different. Earlier, younger relationships have less baggage because you have less experience. This makes you more open and naturally vulnerable. Once you have a couple of relationships and if you were hurt, your approach will be different. The way we experience relationships change over time. I’ve coached people who had bad marriages, abusive relationships, or emotional shutdowns. My clients have experienced partners taking advantage of their kindness, not respecting who they were, putting them down without any legitimate reason. All of these experiences imprinted my clients. Bad relationships can take a toll on people, emotionally and physically. Yet, when my clients looked at their situations from a different perspective, they were able to learn some important lessons. They were grateful to be out of the situation, to have the time to be introspective. They could see how the bad situations helped them to grow and be better in their future relationships. These experiences helped my clients appreciate good partners. They were able to identify troublesome characteristics faster to eliminate inappropriate partners. And when they found good relationships, they appreciated them more fully. Relationship Tip: Experiencing a bad relationship doesn’t mean every relationship will be bad. Use what you have learned to be better in future relationships. And look for others who have had their share of good and bad relationships, people who will be appreciative of someone like you. Your bad relationships help you grow. It’s easy to put bad relationships in a box and view them as all bad. But they can be your best teacher. Can you imagine carrying a child with you everywhere from the time they are born until they become an adult so that you can protect them from everything? As a parent, this is your natural inclination. Your kids are your heartstrings, after all. But as much as you might want to protect your kids from everything, you really can’t. All you can do is prepare them for the world and what the world represents. You can give them advice, be there when they have failures, and cheer them on when they have success. But mostly you are just there to make sure they are all right. Bad relationships are similar. Most relationships don’t start off bad. Usually, they start off quite well, then gradually go bad. This is no fun. No one gets in a bad relationship on purpose. But all relationships serve a purpose. They make you grow. They provide you with experience and understanding you may not have had before. Everyone you go out with can teach you something. The relationship may show you something about your emotional or physical needs. Or what you don’t want in a partner. You might discover the qualities you really need in a partner. Or qualities you didn’t know you had yourself. Like with parenting, there are good, bad, and static moments in any relationship. But each stage helps you and your child or partner grow. And this includes the difficult times. Sometimes such times teach you the most. Relationship Tip: You can’t grow if you don’t go through bad times. The rough spots are part of the progression you are making to understand yourself, your needs, and what you don’t want. If bad relationships keep holding you back, jot down these few lessons. Then record the lessons you’ve learned in relationships. How have the bad ones helped you move forward? If someone doesn’t recognize the value you bring to the relationship, or if you are in what you recognize as a bad or unhealthy relationship, you will need to let them go. When you come out of the bad relationship, however, you will realize that pain can be changed to acceptance, belief, and love. One of the reasons I wrote Love You and He Will Too Love you and He Will Too: The Smart Woman’s Roadmap for Happy, Healthy Relationships was my own history of relationships. I wrote the book because I too struggled to let go of unhealthy relationships. I settled, giving up what was important to me and compromising myself and my needs. I put others’ needs above my own. I was good at having a relationship, but not at having the relationship I wanted to have. But life taught me an incredible lesson. When I let go of the person who was not right for me, the person who was more suitable appeared in my life. A better relationship blossomed almost immediately. Share Your Comments Below and remember you are capable of receiving love. There is a relationship that will work for you. Sometimes all you need is a nudge in the right direction. If you are struggling with your current relationship, newly divorced and looking to get back in the dating scene, or single and trying to find the right person for you, maybe I can help. Reach out to me at thenewrulesofdating@gmail.com, or sign up on my website to receive dating tips and relationship advice. For fast advice, read my book Love you and He Will Too: The Smart Woman’s Roadmap for Happy, Healthy Relationships.